Composer and pianist Clara Schumann (1819 - 1896). 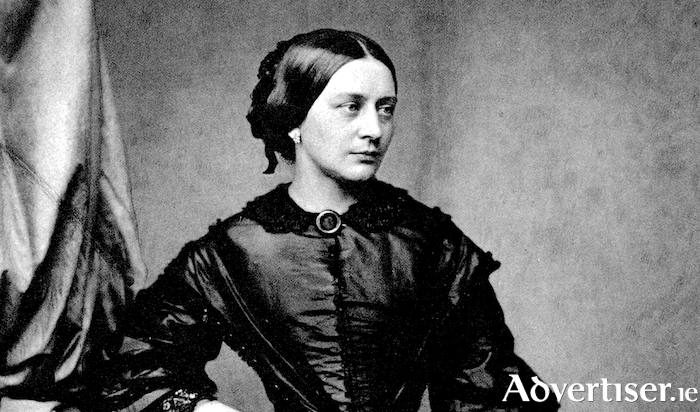 CLARA SCHUMANN kept first rate company when it came to musicians - she was married to Robert Schumann and was friends with Johannes Brahms. She was also a superb composer and pianist in own right. Music by Clara, as well as Brahms, Mendelssohn (another friend of the Schumanns ), and Beethoven, will be performed by cellist Thomas-Michael Auner and pianist Maximilian Flieder, at a lunchtime concert, hosted by Music For Galway, on Wednesday March 27 at 1.05pm in the Emily Anderson Concert Hall, NUI Galway. This year marks the 200th anniversary of Clara's birth. Admission is free, but placed are limited. Attendees are advised to register through www.nuigalway.ie/artsinaction The concerts are in association with NUI Galway’s Arts in Action series with sponsorship by SAP Ireland.